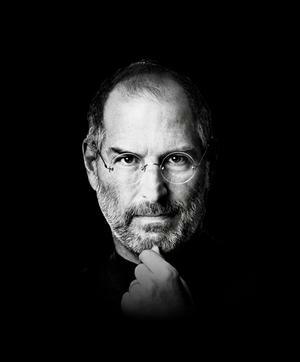 Steve Jobs has resigned as Apple CEO. To many, it is the news they dread to hear. To some, it is a start of Apple’s downfall. To me, it is the chance to write and reflect upon this blog post. I am never an Apple enthusiast, not because I dislike Apple products, because I am not the kind of guy why buys product for its brand or its style. My first encounter with Apple was during my Junior College years in 1992. There was an old Macintosh in the school’s music library. I switched on, and out came a monochrome screen. I fiddled with it, tried to find something useful to do with it. Got nothing out of it. Years later, Apple products started going mainstream with their PowerPC. It was high-priced, which was beyond my computing budget. So I never took much notice. Then Apple started offering consumer products like iPod. I can still recall the unique advertisements of white-silhouette dancers with colour background. But not me. I was smitten with iRiver portable players for its long list of geek-ish features. Then, iPhone was born. That caught my interest with its innovative interface and finally I wrote my first Apple-related blog post. Year after year, Apple broke ground on its designs and marketing concepts. The smallest portable music player, the thinnest laptop, the most responsive touch controls, the integrated computer processor with display (no wires!). The iMac, iBook, iTunes, iPhone. The i-everything. Suddenly, the world caught wind of Apple’s innovation, and started to incorporate a little of Apple style in their products, making it better for everyone. Companies want to be like Apple. Companies want to be better than Apple. Apple affects the way companies package their products, designed their media content, structured their businesses. Today, you have consumer products built of aluminium or pearl white bodies, devices with multi-touch gestures. Apple made possible thousands of business opportunities selling accessories, and even more creating iOS apps. Eventually, I bought my first Apple product when the iPad landed in Singapore. And like an Apple fan, I queued for it on its first day. The iPad won me over because to me this is the first of its kind. Apple changed the world of electronics and technology. Apple influenced product designs from all walks of life. I am not an Apple fan, but I thank Apple for driving innovation.